Melons are a huge favorite for even the choosiest of eaters. 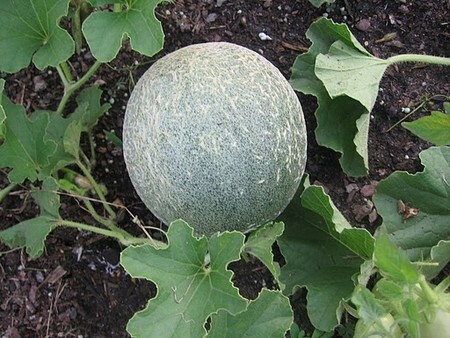 Cantaloupe and the melons related to it are sweet fruits that need warmth and time to mature. Cantaloupes will flourish in USDA zone 4 and hotter. North of zone 7, the short season types can be grown but needs protection from the cold. Choose a place to grown the cantaloupe. The place can’t be exposed to wind. Cantaloupe need warmth. Add manure and/or compost to ensure the ground is fertile and will drain well. Ideally the soil’s pH should range from 6.0 to 7.0. Prepare the soil several weeks prior and cover it with black plastic mulch. Go to the nursery and pick out the cantaloupe. If you have to start indoors, start two weeks before the cold frost is expected to come. Transfer the seedling to the outside about 3 weeks about the frost. Slice the plastic sheet to fit the seedlings. Place the seedlings an inch lower into the soil then when in a container. Refer to the instructions if need be for all spacing requirements. Four to six feet is common. Two feet for the bush variety. Mulch the area. Use compost or hay in lieu of black plastic. Water the area well. Use floating row covers to block the cold air and insects. When you see the first bloom, take the cover off. You need to have a crop and they need to be pollinated. Use compost tea or fish emulsion on the plants. 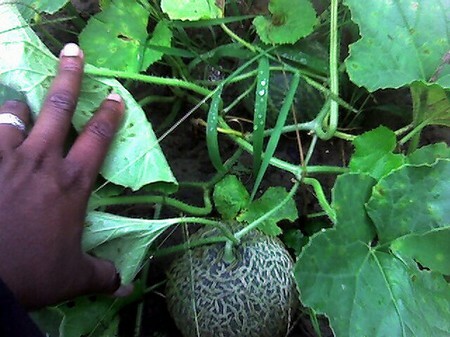 Placing a board beneath melons as they grow will stop it from spoiling. At the start the cantaloupe needs one inch of water per week. The plants flourish well when the water is not too plentiful in the last seven to fourteen days. The melons have to be ripe before picking them. Hotter climate demand the seeds areplanted in the garden and not started inside. Not every cantaloupe need space. Small varieties can grow up trellises. Melons are great container plants. If the growing season is short in your area find an early maturing fruit. Anchor the plastic mulch down for security. This is important not to smother the fruit. Melons are easily infested with insect. Be careful. You can even buy varieties that help combat the issue of disease (which they are prone to).